© Stefanos Chronis. All rights reserved. We are at the temple where Ethiopian immigrants in Athens make their pray every Sunday morning. 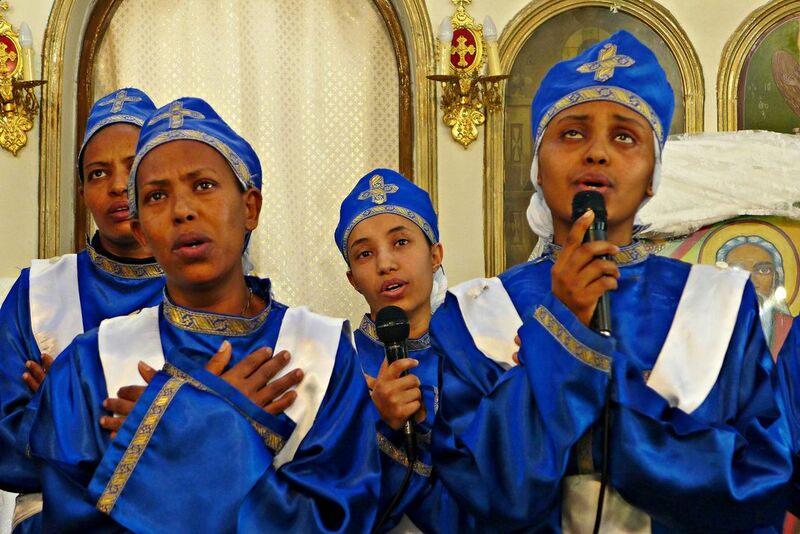 What mainly distinguishes the Ethiopian Christians is their deep religious sense and their spiritual education. The absolute silence in the packed church, the deep concentration for hours,the internal prayers betrayed by the soundless shaking lip electrify the atmosphere and command respect even from the most skeptical observer. Date Uploaded: Sept. 8, 2017, 2:30 p.m.